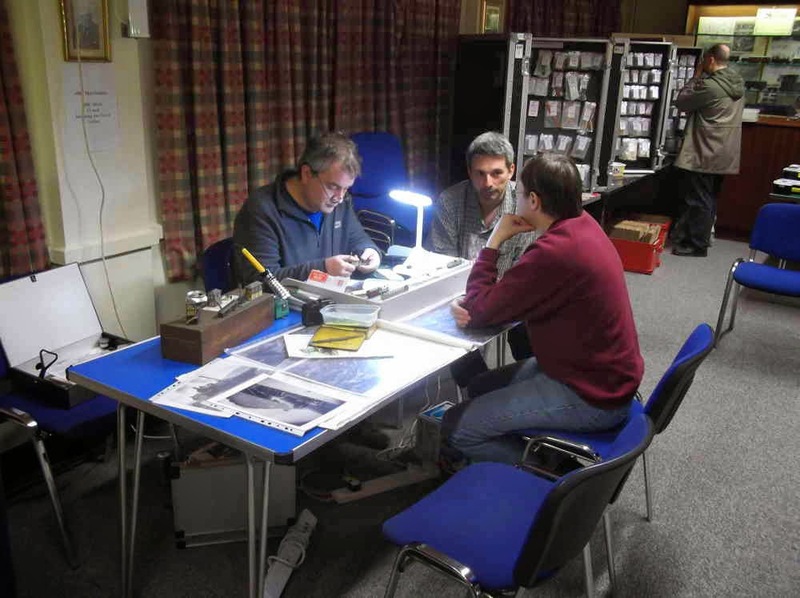 The November 17th meeting was replaced by an MRC Open Day, for both 2mm Fine Scale and N Gauge modellers. Most of the basement was filled by Copenhagen Fields, and the surrounding crowd of spectators. Tucked away in one corner was Lambourn, a 2FS layout which hadn't been seen for many a year, being operated by Richard Wilson and Richard Brummitt. On the ground floor the new MRC N gauge layout Lacey Dale was on display, in its part-finished state. Upstairs was Llangerisech, Nigel Ashton's 2FS layout. In its current incarnation it is basically running re-wheeled proprietary N gauge stock, representing the 1970s. As a complete contrast, next to it Stewart Hine was displaying some of his stock, handbuilt (including most of the motors) GWR models, some of them over 50 years old. On the other side was Jerry Clifford, demonstrating some of his models. Also present were the 2mm Association Central Shop, and an N Gauge Society stall. Expectations were for "somewhere between 50 and 500 visitors". I think the actual turnout was towards the lower end - about a hundred. From my perspective it was an enjoyable day - the chance to help run Llangerisech, to see a couple of other interesting layouts, chat to other modellers, and to spend some money at the shop.